With decorations appearing on the high-street and Christmas markets already on our lists, it is a good time to consider the gifts we want to buy for our loved ones this Christmas. Choosing a Christmas gift is a moment of joy and thoughtfulness, the joy of giving something that can make someone happy. So where do we go when we look for gifts that are equally local, ethical and meaningful? 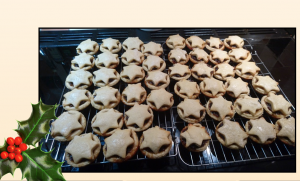 We have put together a mini guide for your local Christmas shopping in and around Llangollen, where to stay and what other events are happening whilst you are in the area. You can make somebody’s Christmas truly special with one of Porter’s Deli Christmas hampers. 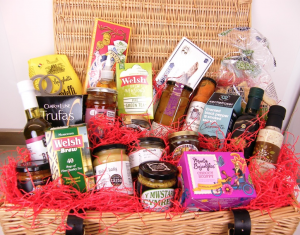 One of the most popular gifts is the Welsh Christmas Hamper featuring a selection of homemade Welsh goods such as: Patchwork Paté, Wild Garlic salt from Bridge Lodge, Welsh Brew Tea, Paella Sauce from Sabor de Amor, and Llangollen Brewery ale (plus a few more items). 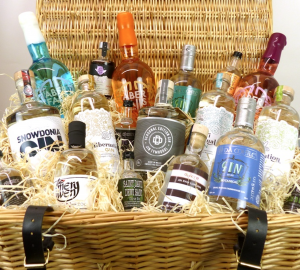 There is also a Welsh Cheese Hamper or the Welsh Gin Hamper, and there are many more to choose from in the shop. Whether you have a limited budget, or you only want specific products, the team at Porter’s Deli will give you expert advice on how to make a wonderful, bespoke Christmas hamper. Just go in and ask. There are so many Christmas gifts at Llangollen Oggie Shop & Fine Foods. The shop is famous for its range of Welsh ales and gins, its fudge and chocolates, its local coffeeS and teas. 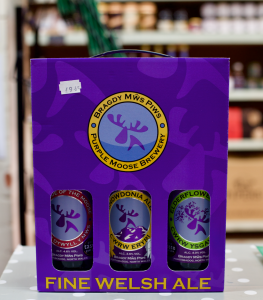 Purple Moose Snowdonia Ale hamper – with three different bottles of ale from this prestigious brewery in North Wales. 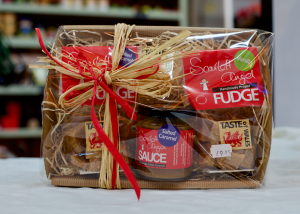 Fudgeilicious Hamper – with Welsh fudge and caramel sauce made by Scarlett Angel. 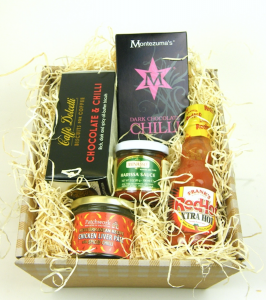 The shop makes bespoke hampers, too, and this is your opportunity to include all your favourite products. 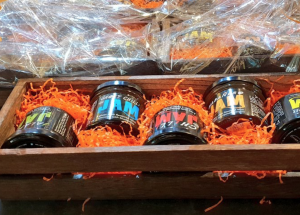 Chilli Jam Hamper – made by Patchwork Patés, the jams are definitely going to make someone happy. Some people love to drizzle this chilli jam on vanilla ice-cream. It sounds indulgent and adventurous, perfect for Christmas. 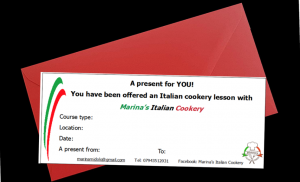 For those people who seem to have it all, we have a recommendation: an Italian cookery course with Italian born-and-bred Marina of Marina’s Italian Cookery. It’s a fun gift, and they will learn a skill for life. For those people who would appreciate a gift with a cause, our recommendation is Aballu Truffles and Chocolates. Jo Edwards, Aballu’s chocolatier, is raising awareness about the talented people out there who suffer from dementia. 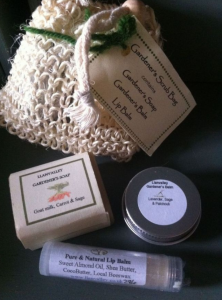 Finally, for all of us mindful of the environment, the natural cosmetics from Llanvalley Natural Products are animal and environmentally friendly, plastic free, and made in small batches, using ingredients from their own or neighbouring farms. 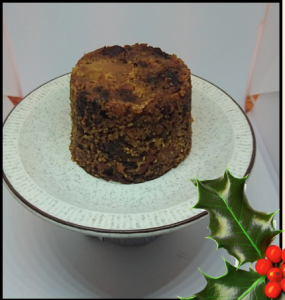 Rachel’s Vegan Cakes could be the answer for the gift that you are looking for. 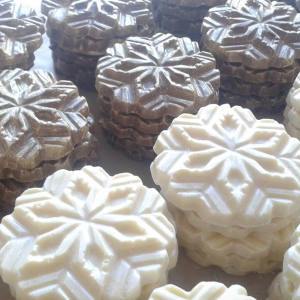 If you are hosting or attending a vegan Christmas party, you can impress them by ordering your cakes from Rachel. 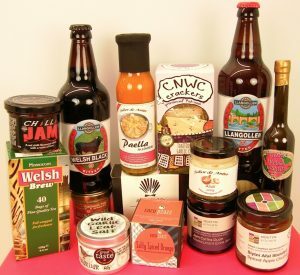 For more local gifts and Welsh producers, read ‘WHERE TO SHOP IN LLANGOLLEN’ and ‘LIVE LOCAL, SHOP ONLINE’ . You don’t have to do all this in one day. Stay for the night and enjoy a couple of days in Llangollen, exploring its beautiful surroundings. Stay at the stylish Manor House, Gales of Llangollen or the Chainbridge Hotel. There are also Llangollen Barnes, the charming self-catering cottages on the hill above Llangollen.